It takes me almost exactly 2,000 strides to hike a mile, a fact I recently double-checked while hiking out of the Pemigewasset Wilderness along easy-cruising Franconia Brook and Lincoln Woods trails. I also measured how quickly I could hike on the even, level terrain, walking as briskly as possible without breaking into a trot. The result: just over 3 miles per hour. 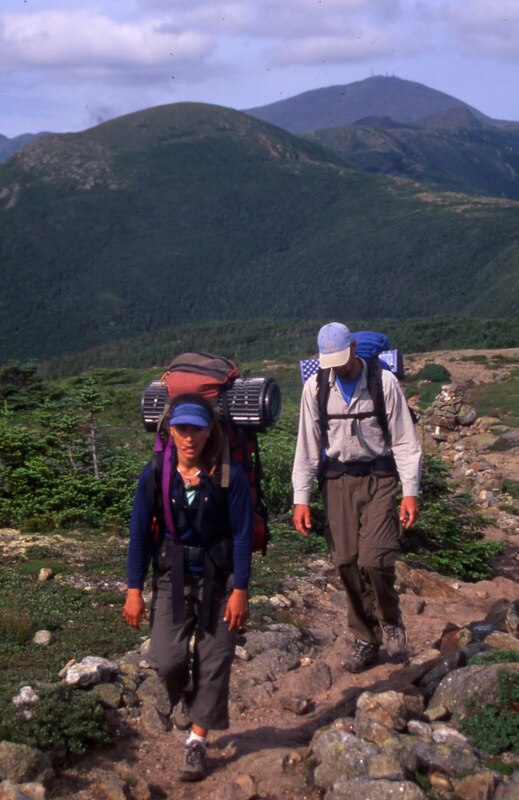 Hiking speed varies depending on terrain and gradient. Similar past experiments have provided approximate personal hiking speeds of ~2 miles per hour over rocky, undulating terrain; ~1.5 mph and/or ~1,500 feet of elevation gain on steep ascents; and 2-3 mph on downhill stretches, depending on the terrain underfoot. The number of steps per mile also varies, though not as much as I would have guessed. Except for the steepest uphill sections, it almost always falls somewhere between 2,000 – 2,500 strides. I use these personal factoids all the time when I hike to estimate distance. When I tire, I often begin counting steps to provide some goal to keep me going and my brain occupied. If I know the distance remaining to my destination, I can estimate the number of steps it will take me to arrive—and count upwards until I reach it. I’m a reasonably fit, tall guy (6’5″). As a result, my pace may be faster and stride longer than yours. You’ll need to measure your own stride length and hiking speeds. To do so, identify a stretch of trail with a known distance and terrain type. Hike it steadily, without break, for an hour. Remember the result and refine it over time as your hiking experience and fitness levels increase.